School desks now have a future beyond the landfill. Old school desks and chairs can be separated down into individual materials and then recycled to create new school furniture. 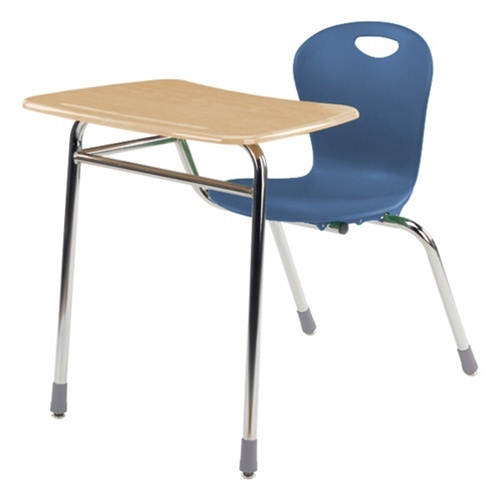 Worthington Direct proudly sells school furniture made from post-consumer materials such as Virco’s ZUMA series school chairs. Visit www.WorthingtonDirect.com today and check out the products in the Greenguard Certified Eco-Friendly Furniture category. This ground-breaking program involves taking back out-of-service Virco furniture – and potentially other products made of specific materials – from our customers and recycling the components. Some of this recycled material can then be included in the Fortified Recycled Wood™ that’s used to make seats, backrests and work surfaces for our highly sustainable Telos™ and ZUMAfrd™ furniture collections; some recycled material may also be distributed to other users. Beginning in 2006, Virco established a regular Take-Back program that’s open to qualifying schools and school districts nationwide. One by one, custodians are removing desks and chairs from Dumpsters across Napa Valley Unified School District. All week, school Dumpsters brimmed with desks, chairs and picnic tables to make room for a new shipment of furniture for Napa schools. Now, after a public outcry, the furniture will find a haven in storage facilities until school officials decide what to do with the mountains of unused desks and chairs. Comment Email Print ShareIn 2002, voters passed Measure M, the $95 million NVUSD school bond that budgets $1.5 million for the replacement of student furniture. 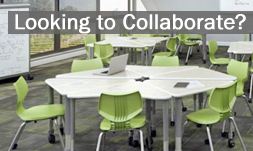 The funds cover the replacement of up to half of NVUSD’s student furniture, said Don Evans, NVUSD director of school planning and construction. With students on spring break, custodians busied themselves with the task of tossing old furniture into the garbage in time for the arrival of the new furniture this week. Discarded furniture ranged from decades old to relatively new. Each principal was charged with determining which and how much furniture to throw away, said Evans. At some schools, the number of discarded desks reached into hundreds. Nearly all of the discarded desks and chairs are functional, said NVUSD custodians. Some, said Evans, were clearly unusable. district is legally precluded from donating the furniture because it was purchased with public funds. Past attempts by the district to sell furniture proved unsuccessful, he said. I would like information on where I can donate used Virco desks that we have in storage so we do not have to place them inour dumpsters. They are all still good functional desks. I never knew that students desks were often switched out despite their quality. It’s interesting that there are furniture programs that work with schools. I like that there has become a recycling program for these discarded desks.